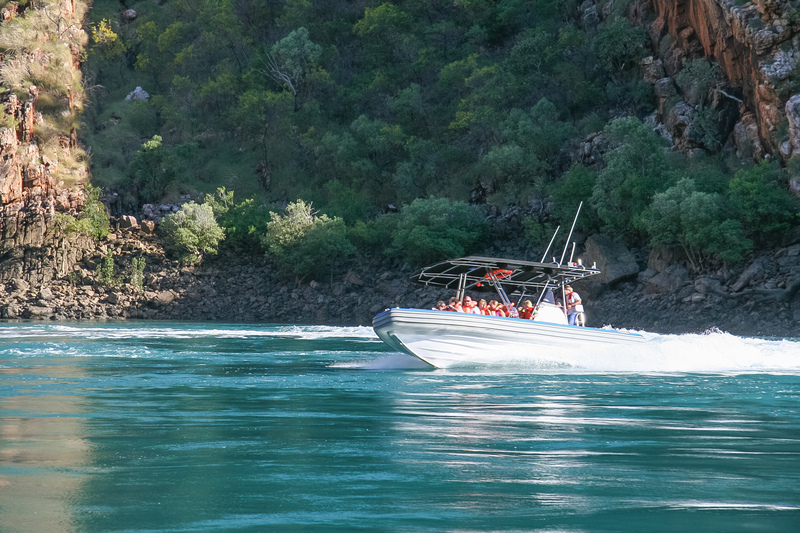 For those without much time, or who are staying in Broome this tour will allow you to explore the highlights of the West Kimberley. We can store your “rig” (unpowered) in Broome for no cost while you are on this tour. 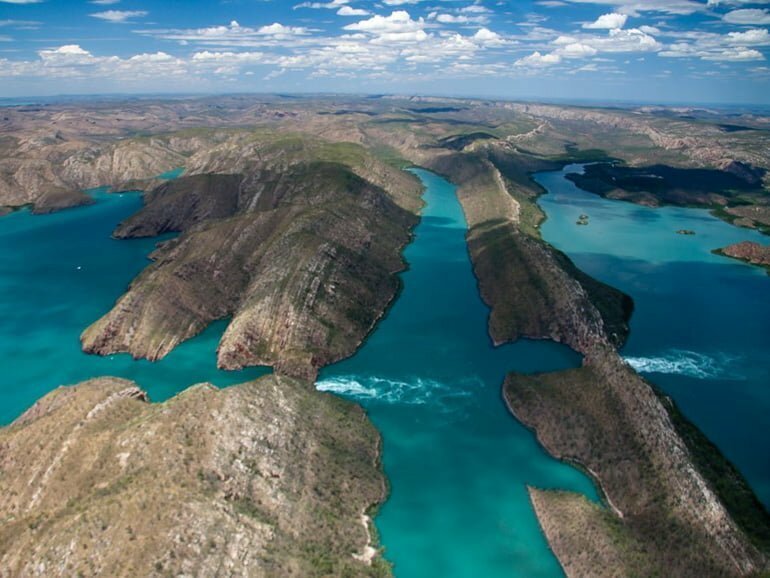 Enjoy some of the Icons of the Kimberley. 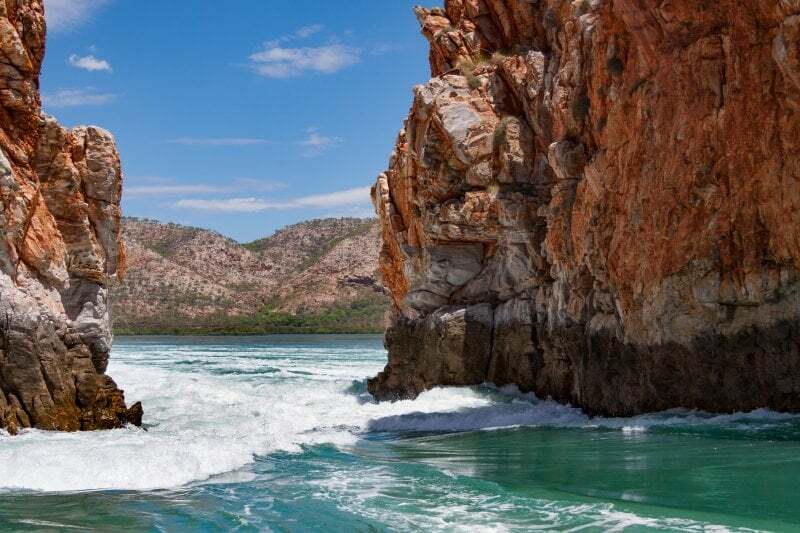 See the spectacular Horizontal Waterfalls and explore the western end of the Gibb River. 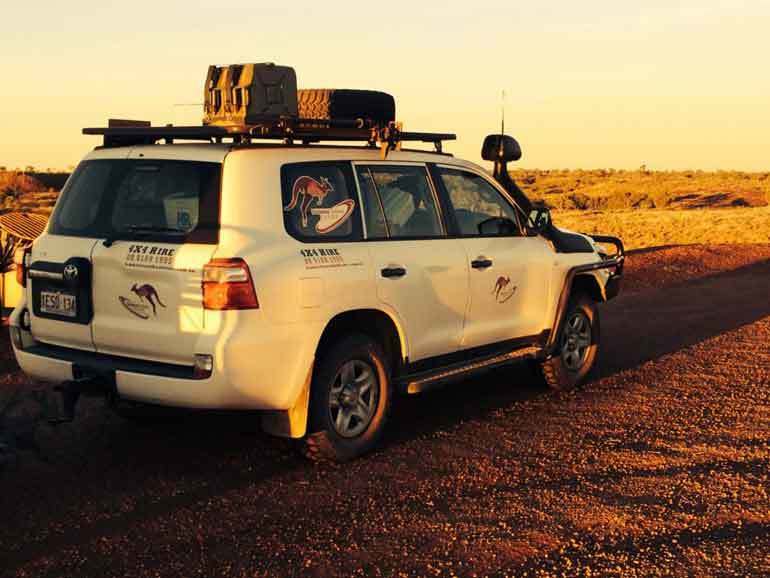 This morning we commence early, departing Broome, after collecting everyone from their Broome accommodation we travel along the Great Northern Highway across the Dampier Peninsula. 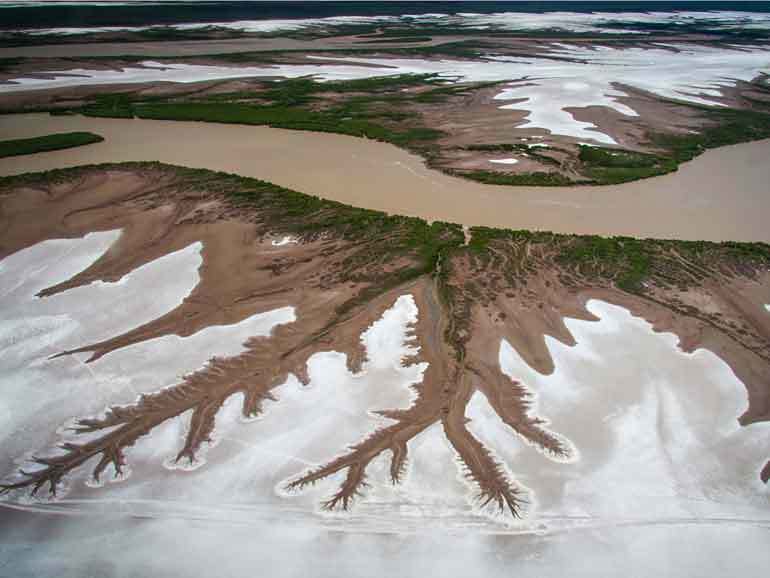 We will catch our first views of boab trees and the red termite mounds in the Kimberley savannah lands on our way to Derby, the site of the largest tidal variance in Australia. Following breakfast we enjoy and discover the Gorges at Mt Hart. 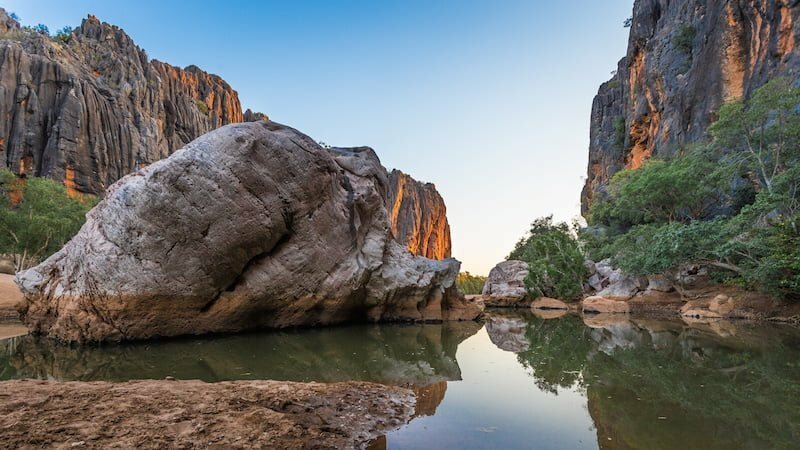 Located in the heart of the King Leopald Ranges Conservation Park, Mt Hart’s proximity to many of the Kimberley’s major attractions, makes an ideal base to explore the region. Originally a working cattle station, this unique property ofers a rich pastoral history, that offers a rustic ambiance and exceptional hospitality. 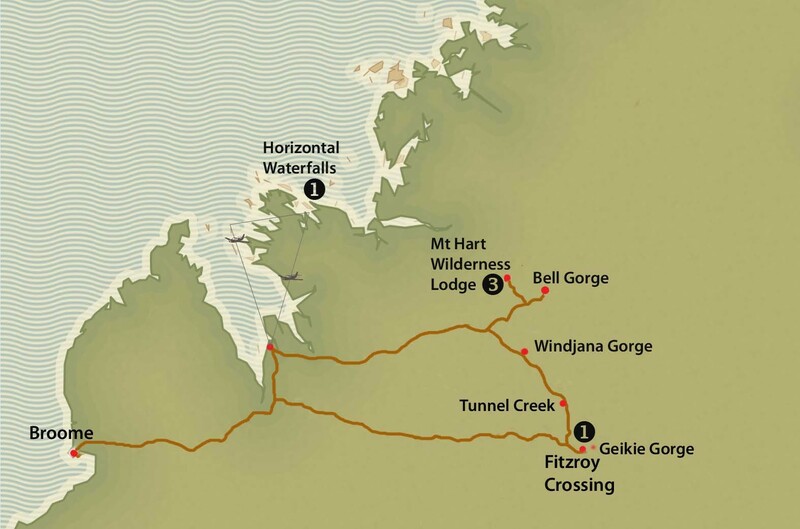 Enjoy and exploring Annie Creek Gorge and Dolerite Gorge. The Barker river flows through the center of Dolerite Gorge’s steep cliffs of black dolerite rock. Barker Pool offer a delightful swimming and fishing spot where the river comes to a temporary “dead end”. The Mount Hart pastoral lease, which encompasses Bell Gorge and Silent Grove, was first taken up around 1919. Since then there have been a succession of pastoralists who went broke, and walked off the lease because the land was too rugged and unsuitable for pasture. Leopold Conservation Park. 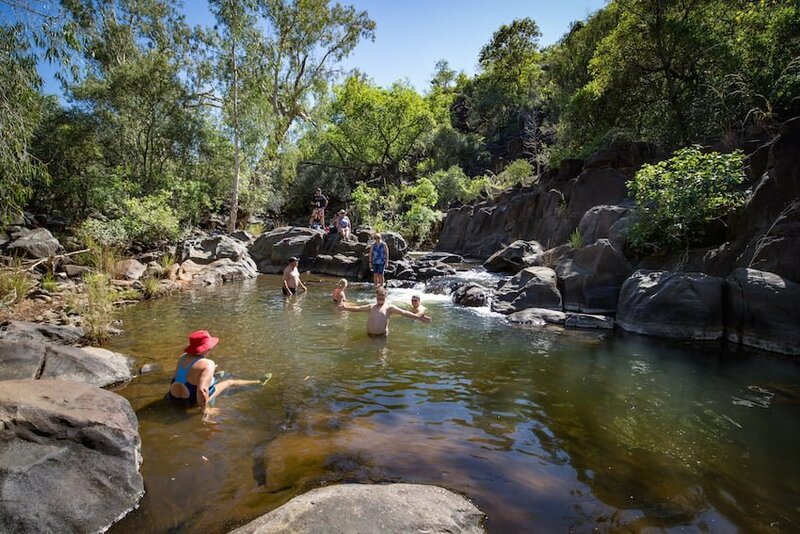 The park, which covers over 392,000 hectares, is situated approximately 200 kilometres from Derby and 450km from Kununurra via the Gibb River Road. 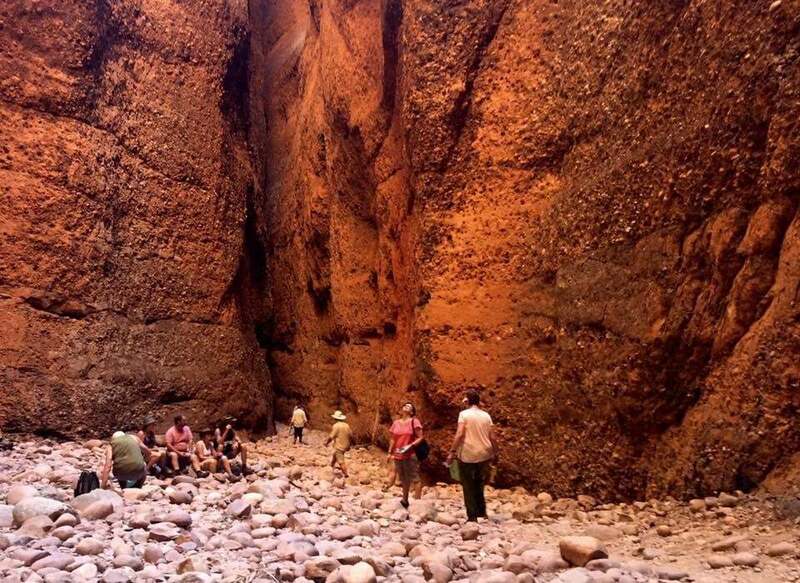 Today’s journey is only a short drive to Bell Gorge, one of the most iconic gorges of the Gibb River Road. We make our way further into the King Leopold Ranges to Bell Gorge. 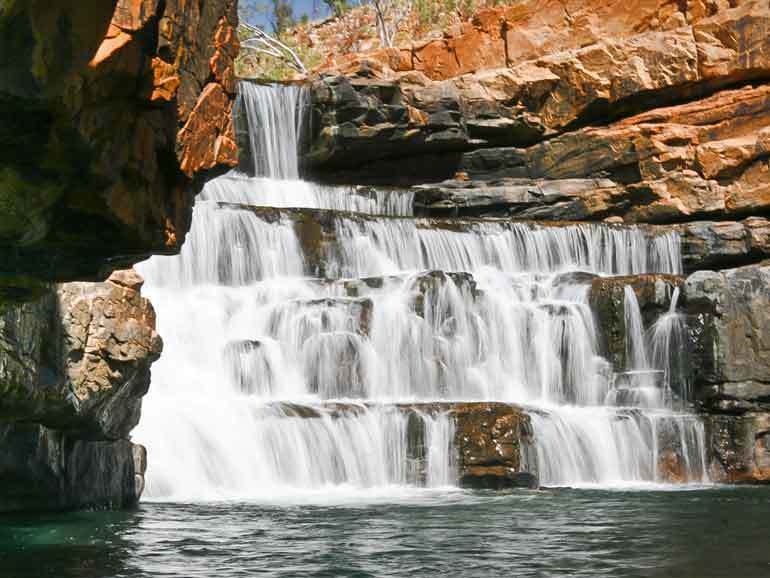 Enjoy a day swimming and exploring one of the most spectacular waterfalls along the Gibb River Road. Bell Gorge is a stunning cascade of water flowing from the previous wet season rains that fall in the King Leopold Ranges. Water flowing west from the King Leopold Range has cut down through the ancient rock to form spectacular gorges such as Bell and Lennard Gorges. Bell Gorge, about 300 metres above sea level is the beginning of a series of waterfalls, which descend through the Isdell Range to Walcott Inlet. Bell Gorge is a great spot for swimming, photography and enjoying what nature has to offer. A 1km walk from the car park reaches the falls. Once at to the top of the waterfall you may wish to swim or relax in the top pool or cross, further up the creek, to the opposite side. From there it is a reasonable walk over the top of the hill and through the spinifex to the bottom pool. Here is an excellent swimming hole and a magnificent view of the waterfall and the gorge to the west. After a great day exploring, we will head back to Mt Hart. 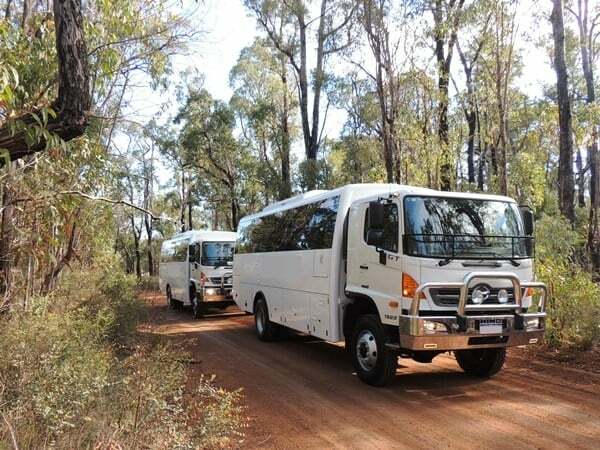 After breakfast we will head back on the Gibb River Road and turn off to visit Windjana Gorge and Tunnel Creek. We explore more of the Napier Range, an ancient limestone reef. 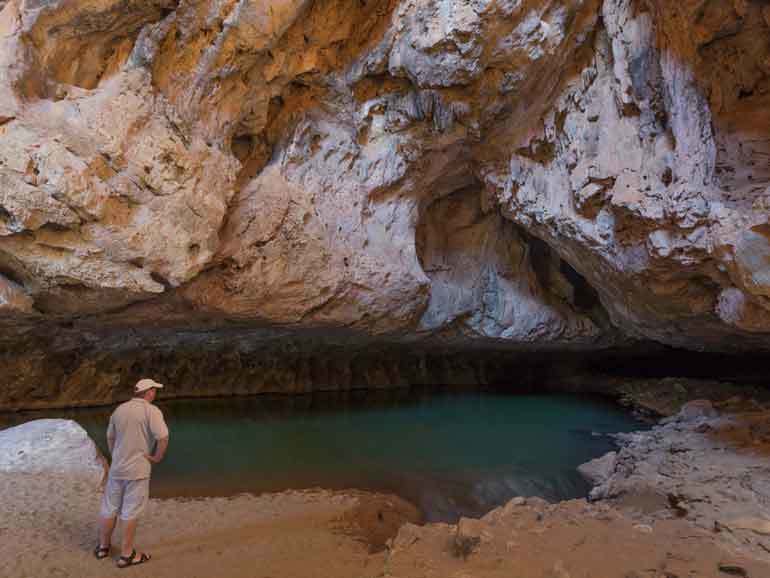 We will take a walk through Tunnel Creek, Western Australia’s oldest cave system, carved beneath the Napier Range by Tunnel Creek. Windjana Gorge is part of this same Devonian limestone reef system, carved by the Lennard River. This morning we will learn of the indigenous culture and bush tucker as we take a cruise on Geikie Gorge. 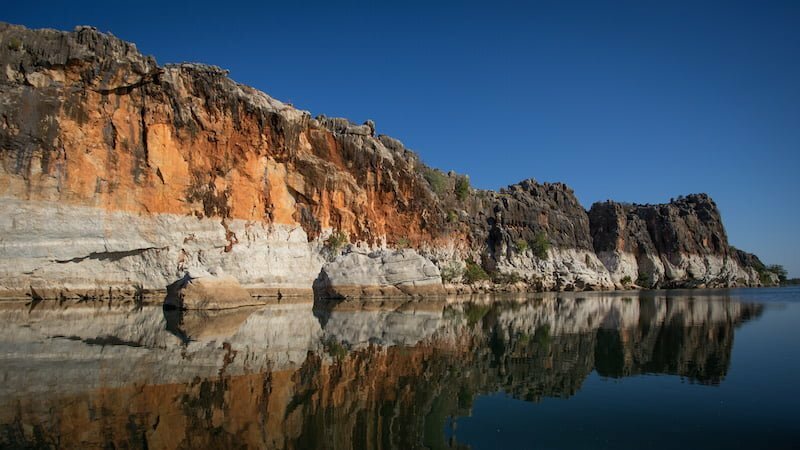 Geikie Gorge has been carved by the Fitzroy River through part of an ancient limestone barrier reef which snakes across the west Kimberley. It was laid down in an ancient sea that covered a large part of the Kimberley in Devonian times, some 350 million years ago. Afterwards we will head back to Broome to say our farewells. It is recommended that you bring a torch, sandals or old runners for walking in shallow water, broad-brimmed hat, sunscreen, swimming costume and towel, good walking/trekking shoes and a personal water bottle. It is also recommended that you bring insect repellent, warm clothes for the evening (particularly if travelling in Winter), personal toiletries and first aid, with any personal medication required. Pack casual clothing for the journey. This tour include walking over uneven terrain, often in high temperatures. Temperatures can be extreme i.e. very high during summer days and very cold during winter nights. The operator reserves the right to assess the fitness capability of passengers prior to tour departure. 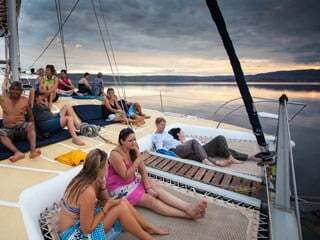 You are required to pay a non-refundable deposit of 20% per person per trip for your booking to be confirmed. The deposit will be required within 7 days of booking. 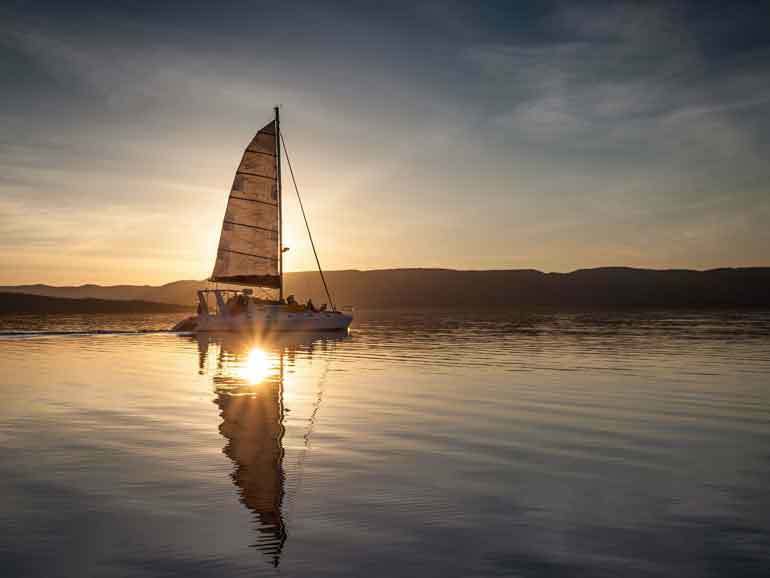 The balance of payment is due 30 days prior to departure date. Prices are quoted in Australian Dollars inclusive of GST for Australia and are valid for travel until 30 September 2018.